Starring Ja Rule and Billy McFarland. 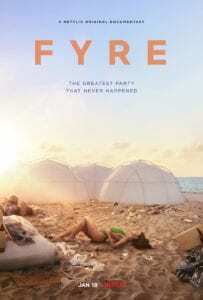 The story of 2017’s infamously doomed Fyre Festival would be catnip to any documentary filmmaker, and veteran director Chris Smith (American Movie, Jim & Andy: The Great Beyond) duly crafts one of the most alternately fascinating and cringe-worthy docs in recent memory. 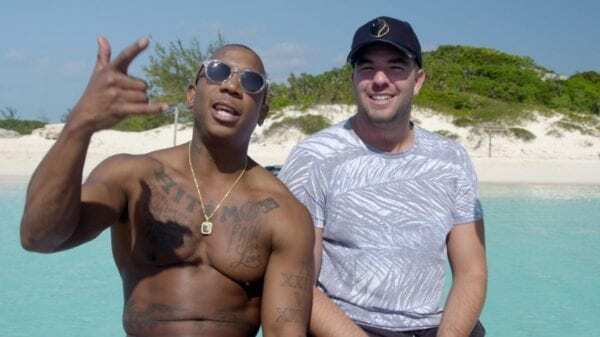 For the uninitiated, the Fyre Festival was a planned luxury music festival spearheaded by young entrepreneur Billy McFarland and his rapper pal Ja Rule. With an idyllic, remote island location selected, bands like Blink-182, Major Lazer, G.O.O.D. Music and Disclosure booked to appear, beautiful social media influences relentlessly posting about their enthusiasm for the event and 5,000 high-priced tickets sold to the general public, it seemed primed for opulent success. But then the guests started turning up, and the rest is history. McFarland and his huge team of employees weren’t remotely ready for the event, which they hoped to pull off in a small matter of months rather than the full year one interview subject explains it would realistically take. Because the trainwreck that was the event itself has been so vociferously documented on social media and the news already, Smith instead opts to focus on the circumstances of the festival’s creation and planning, headed at all times by a wildly over-optimistic, deluded McFarland. If you’ve only skimmed the broad strokes of the story there are certainly some surprises in store here, not least that the festival was actually more a promotional exercise for the wider Fyre brand – an app owned by McFarland for booking talent for gigs – and clearly just a stepping stone in the hope of building a larger media empire. Through extensive interviews with McFarland’s bemused confidantes, a picture is painted of a man blind to practicalities, who simply hoped a positive, problem-solving attitude would be enough to steamroll the reality of the situation. And that reality? 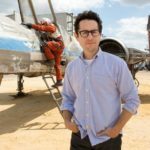 They didn’t have enough time, they didn’t have enough real estate to accommodate 5,000 people, they hadn’t made staging preparations with less than two months to go, and their initial catering budget was more than 500% above what they could handle. That’s just the tip of it, and naturally enough, despite the efforts of McFarland’s incredulous employees and hundreds of local islanders working around the clock – many of whom weren’t ever paid – the festival ended up cancelled…after hundreds of guests had already arrived. The “third act” of the documentary is at once a shocking and blackly hilarious smashing-together of expectations vs. reality, with the promised luxury villas being replaced by surplus hurricane tents – which, to add insult, were soaked through by a storm the night before the festival – and the “world-class” catering culminating in that infamous, reputation-destroying cheese sandwich tweet. At this point what we’re faced with – drunk youngsters stumbling around in the middle of the night – more closely resembles a found footage horror film than a picture of decadence. Not merely a boots-on-the-ground look at the event, though, Smith’s film also considers the broader implications of the event’s failure, namely the literal influence so-called social media influences clearly have in the current age, being paid handsomely to promote brands while not necessarily being beholden to the same responsibility you would expect from a more conventional promotional deal. The film does also touch briefly on the collective sense of schadenfreude felt by many online, of seeing people who spent thousands of dollars on these tickets being stranded in piddly tents with cheese sandwiches and no way to escape their situation (as flights hadn’t been chartered to leave). 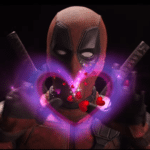 It does come across as a tad mean-spirited, in honesty, though this isn’t a perspective the doc purports to agree with, just one it presents without lingering upon. The real dramatic meat of the film comes in its examination of McFarland himself, who while initially depicted as an ambitious youngster who simply got in way over his head, is ultimately revealed to be a head-in-the-sand fraudster with a depressing, relentless need to project an image of himself incongruent with reality. A jaw-dropping look at what happens when ambition collides with a total lack of business nous and, ultimately, desperation both sad and sinister.